Families visit the wall remembering their loved ones. My husband, Jose Rosa, and I responded to an outreach call from the New Sanctuary Coalition (NSC), and went to the Mexican/US border in late January. NSC has invited our union members to stand in solidarity with those who’ve been traveling in recent months in a caravan from Central America. 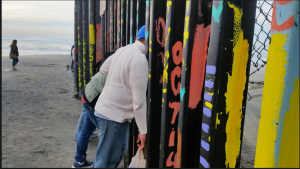 Artists paint mural on the Tijuana beach wall. 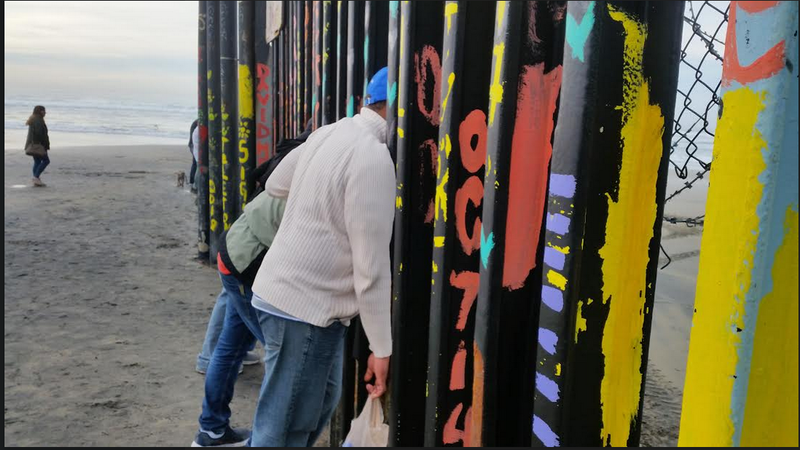 The names represent the dead, the disappeared, and relatives on the other side of the border. Four NWU members have taken up that mission, with one person having made the week-long journey twice. 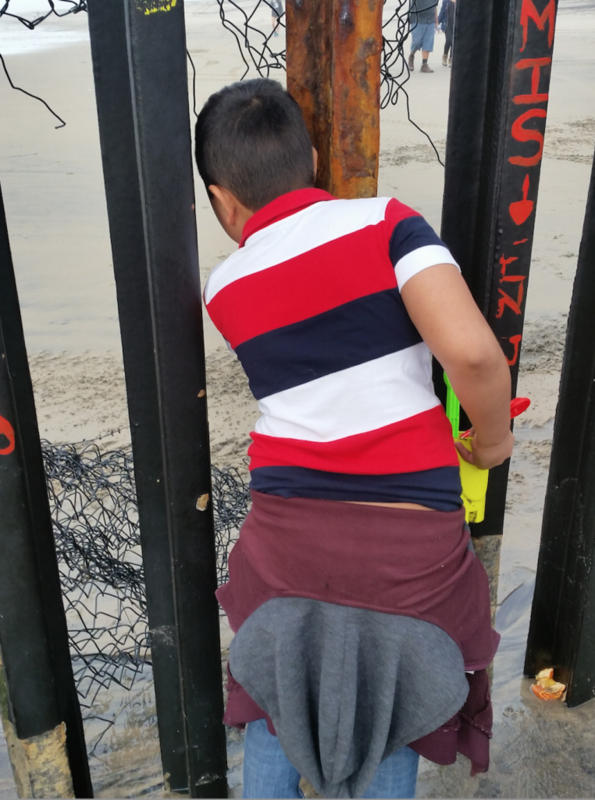 Along with activists from across the country, we helped provide food, shelter, and information about the asylum process to desperate people, many of them women with children, teenagers, and older men. They’d traveled thousands of miles, fleeing violence and murder in their own countries, to seek asylum in this one. I still think of a woman I spoke to in a shelter who told me a gang member had threatened to kill her and her children if she didn’t continue paying him “rent.” She sent the children to different parts of the country for safety and joined the caravan to seek asylum in the US. As we talked, I realized she didn’t know that becoming a legal resident was a long, drawn out process. Sadly, I could not tell her that she might not see her children again for years. It was a heartbreaking experience. 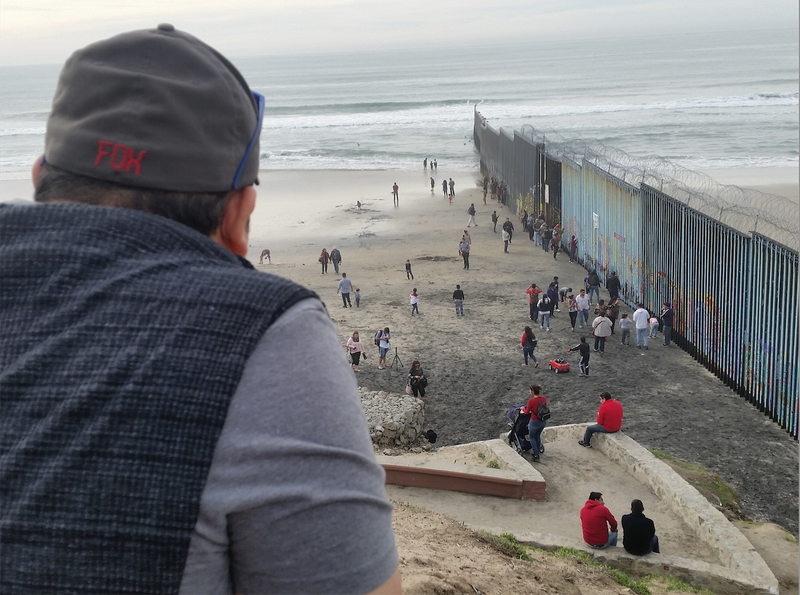 The US government has stopped migrants at the border, making them wait weeks, even months, before they’re allowed to cross and apply for asylum—a right guaranteed them under both US and international law. NSC is organizing a movement to support safe caravan crossing. The essence of the project is workers standing up for other workers, seeking a world without borders, and with social and economic justice for all. Join the struggle and help build international working class solidarity.